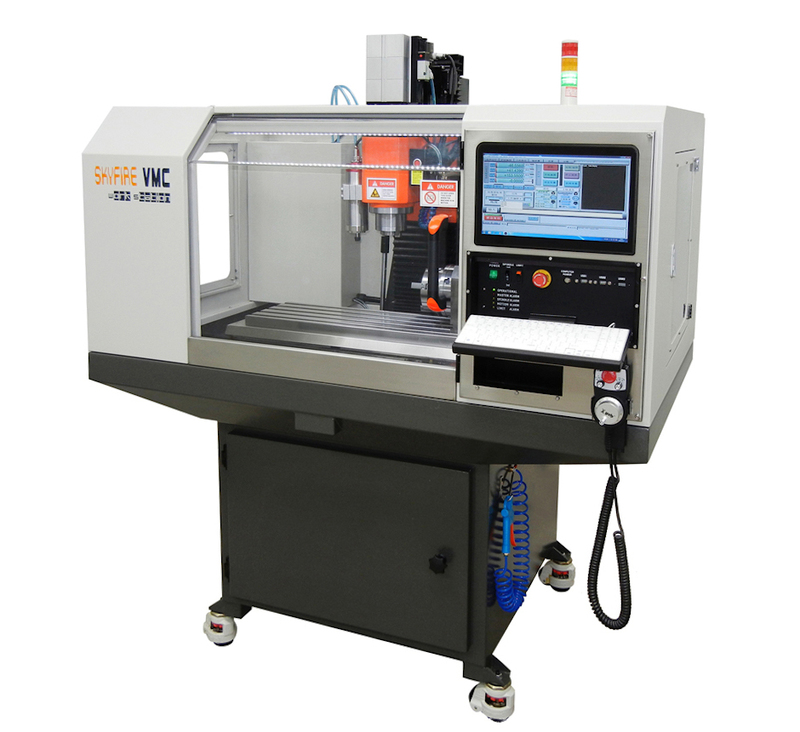 **Linuxcnc with MESA 7i76e controller is AVAILABLE NOW! 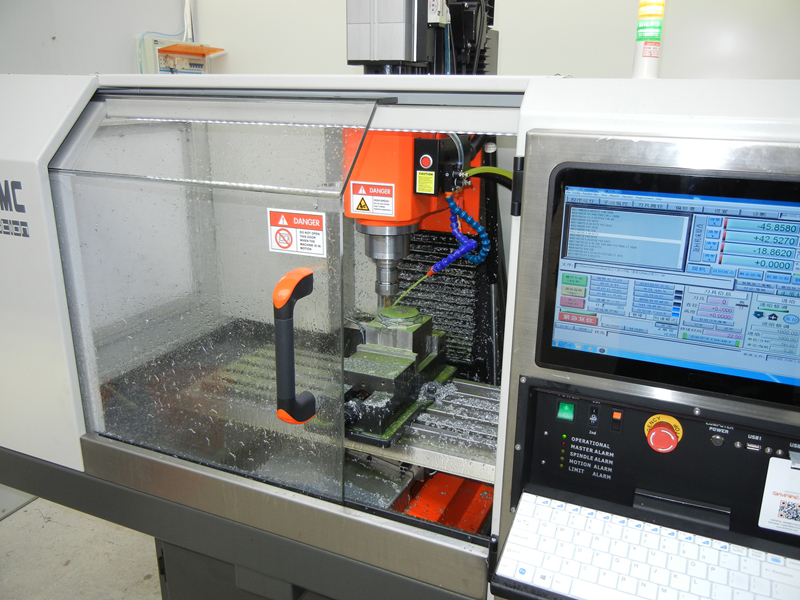 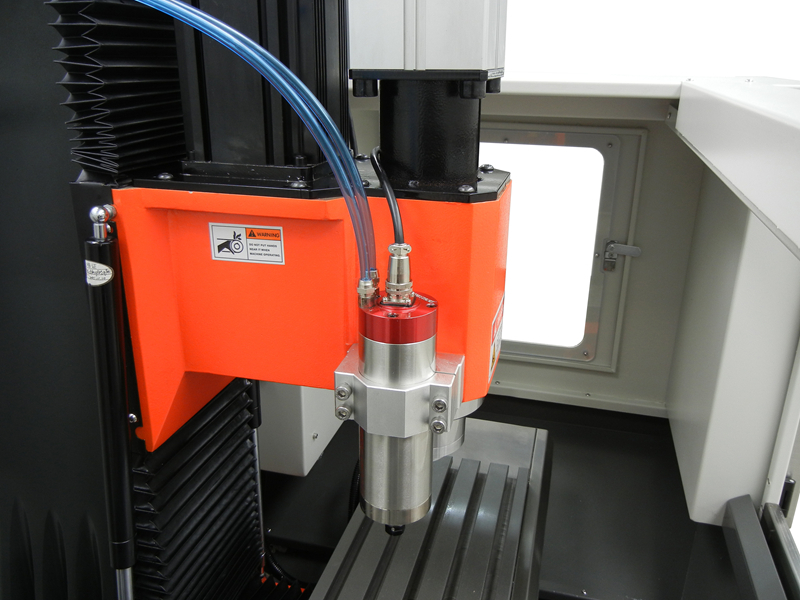 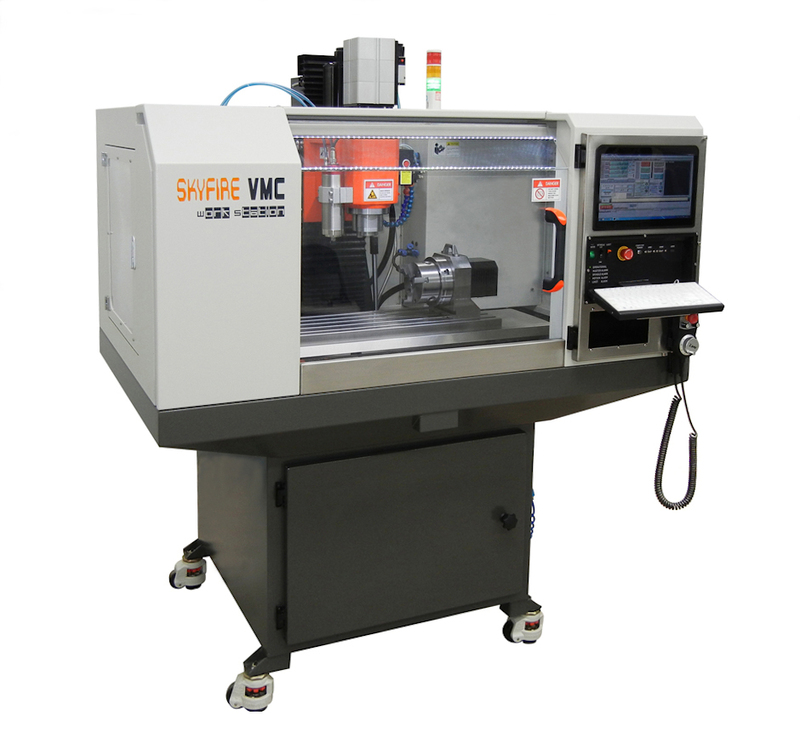 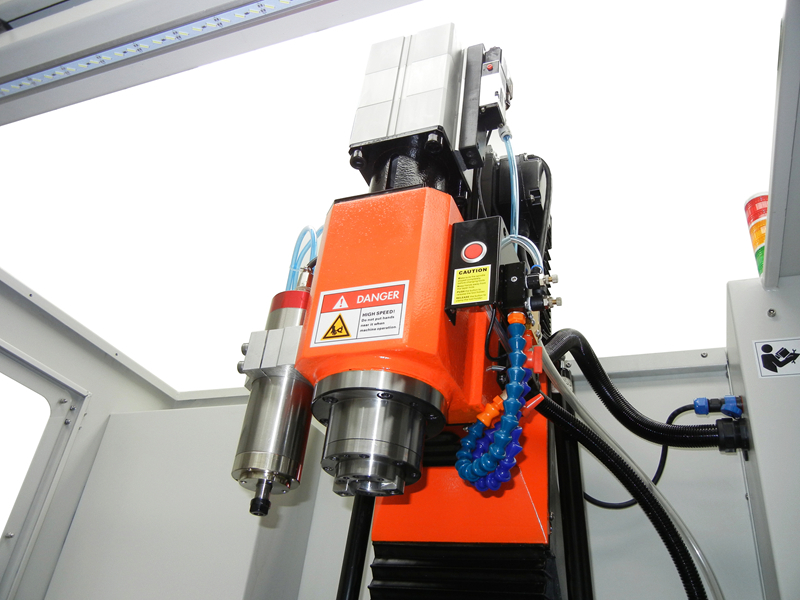 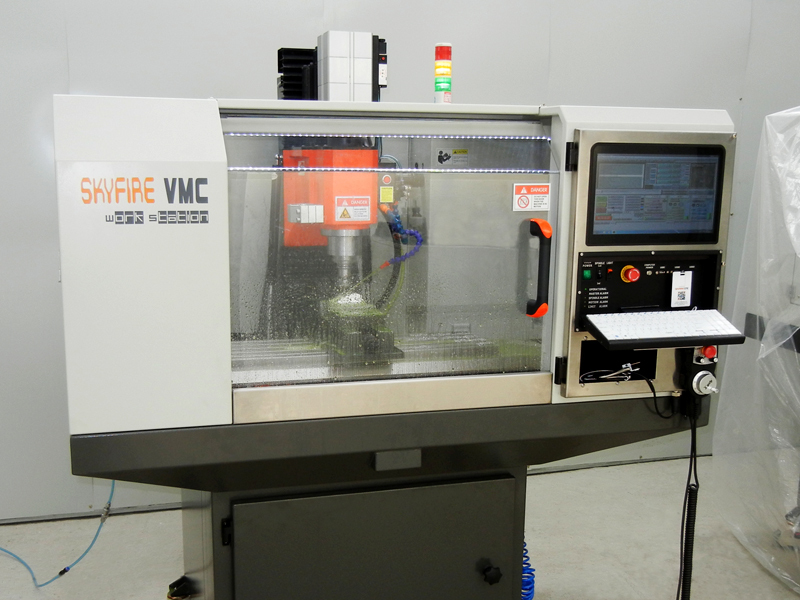 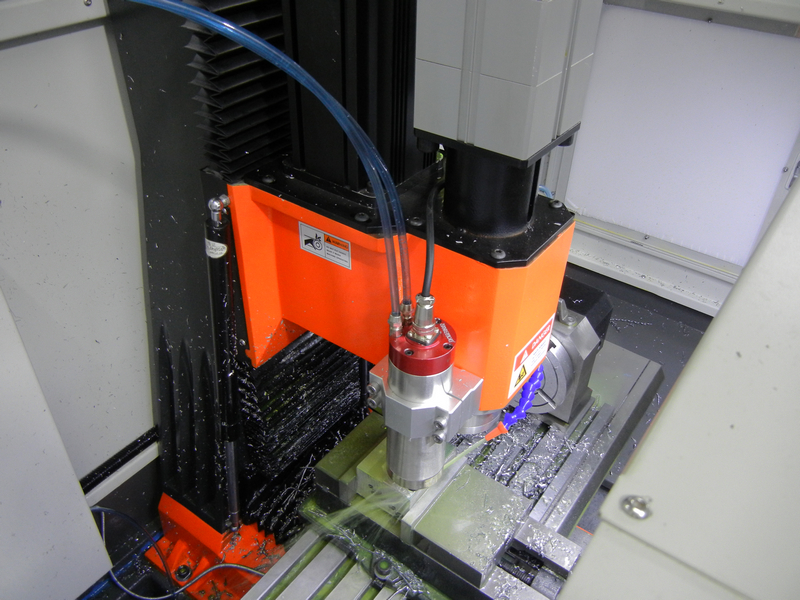 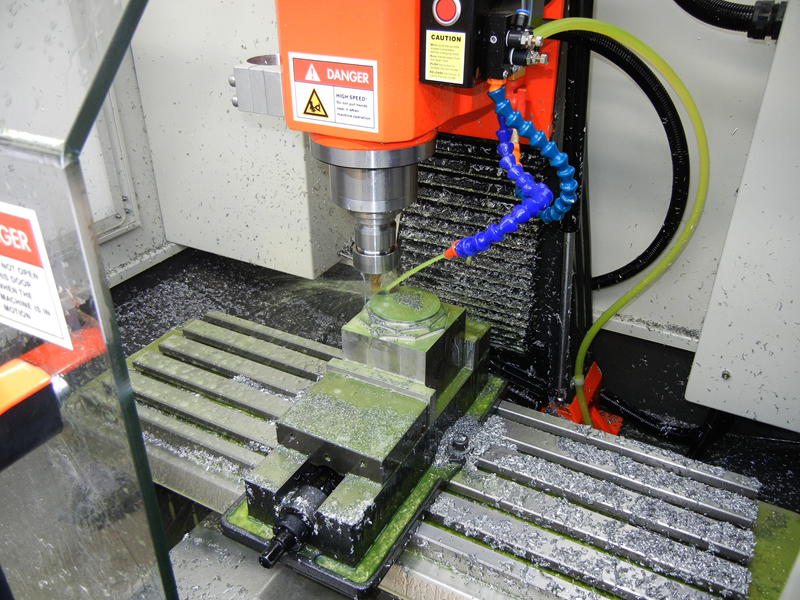 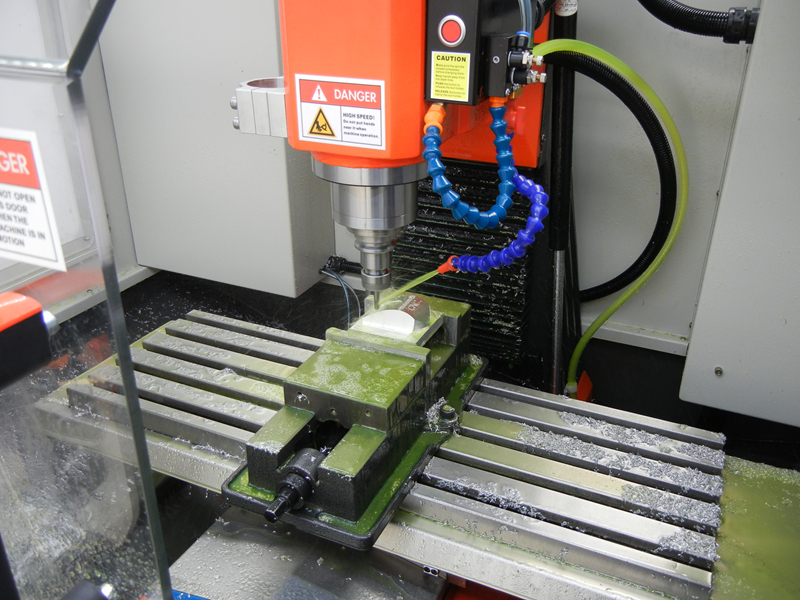 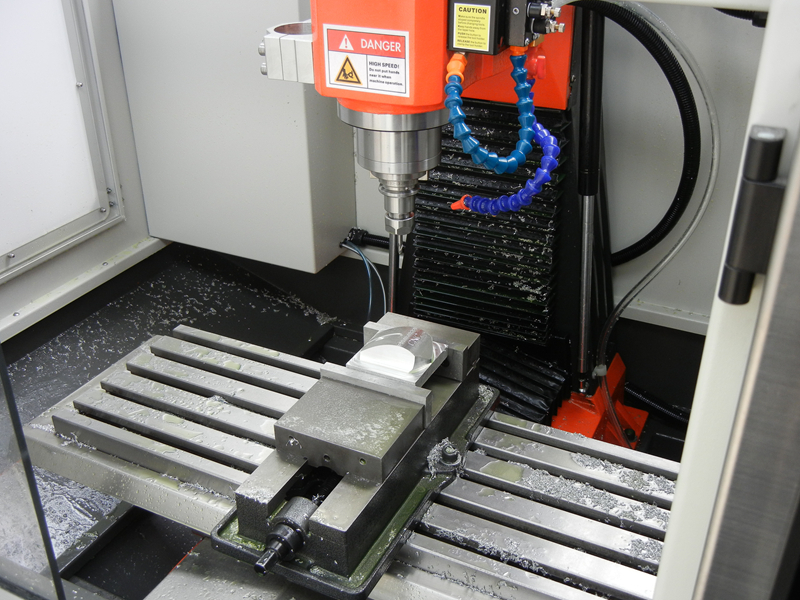 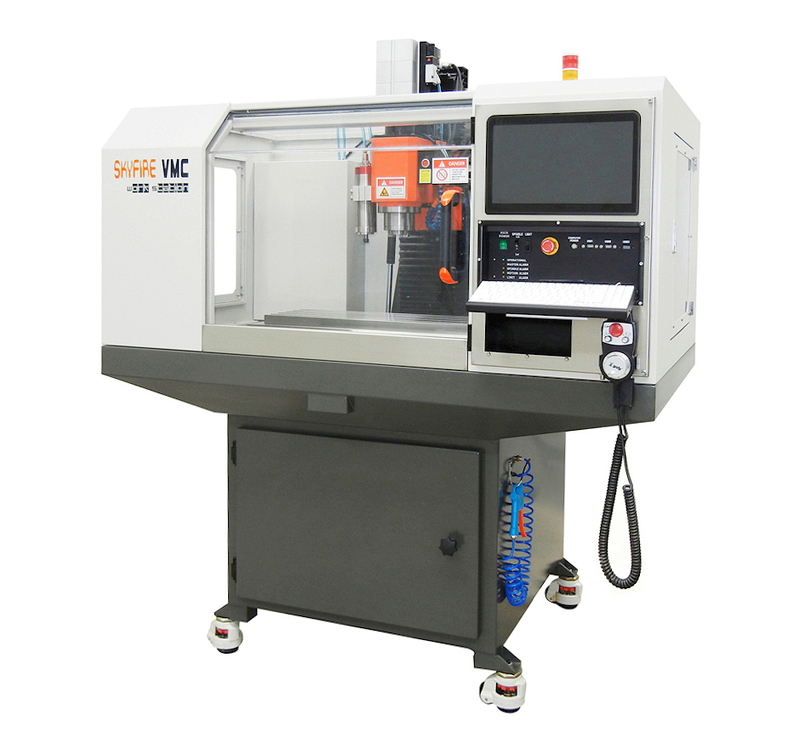 SVM-2VMC Workstation is a professional PC control based Mini Vertical Milling CNC. 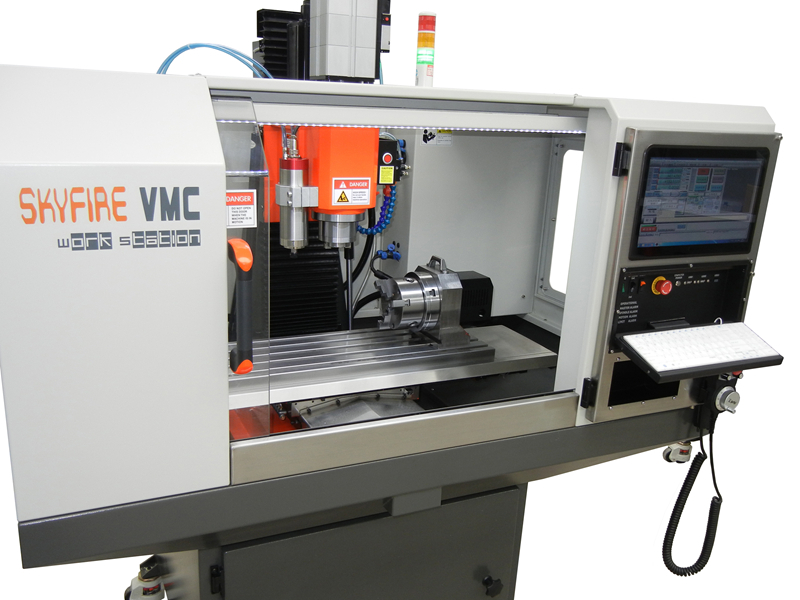 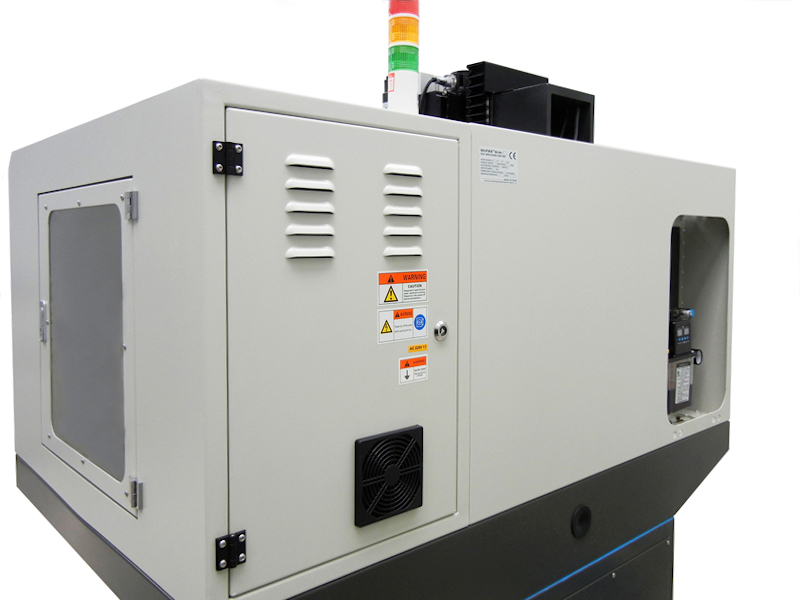 It’s small compact size but all made as standard industrial level VMC. 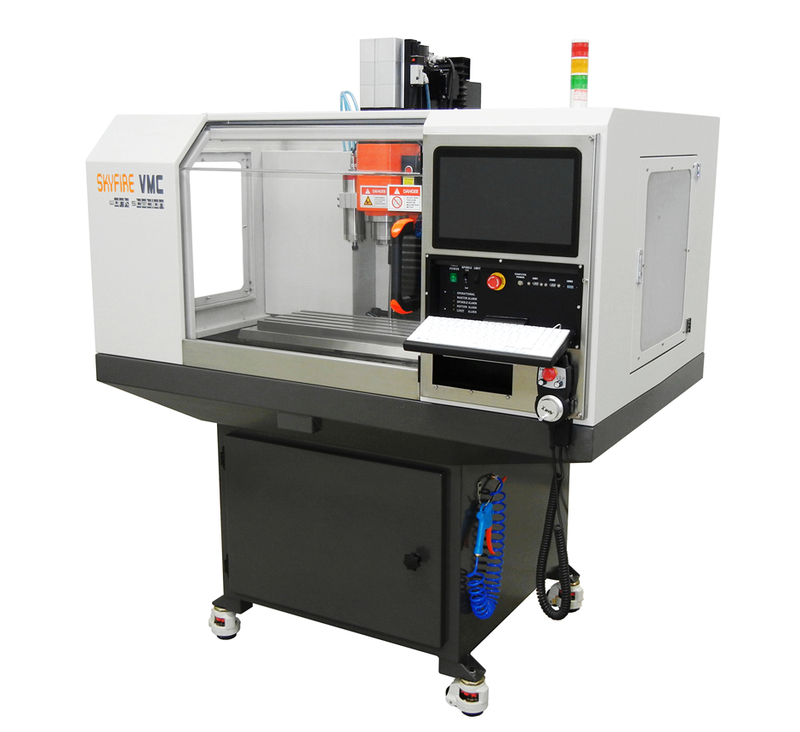 It's equipped with standard industrial AC SERVO driving BT30 spindle, full linear ways and full AC SERVO 3 axis motion system that normally only be seen on big industrial CNC machines. 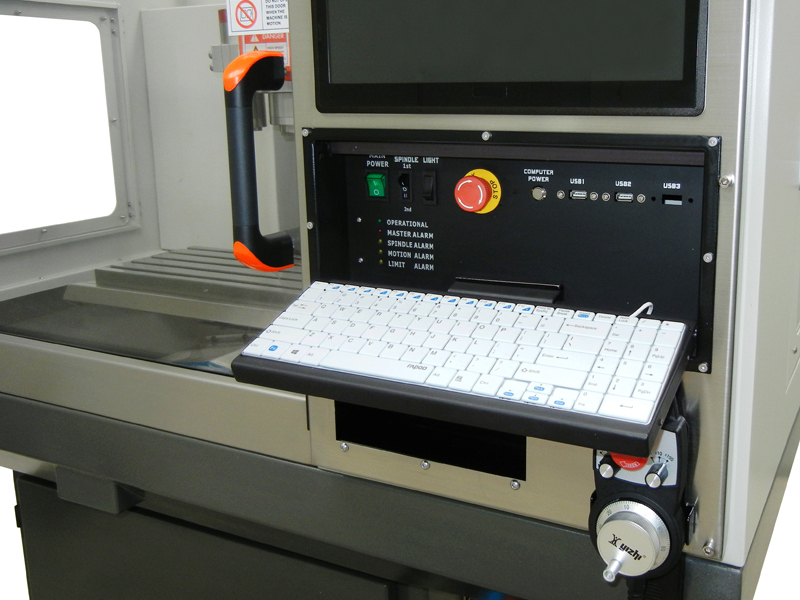 SVM-2VMC Workstation comes with Linuxcnc + MESA 7i76e CNC controller installed on a 14" touch panel tablet industrial computer. 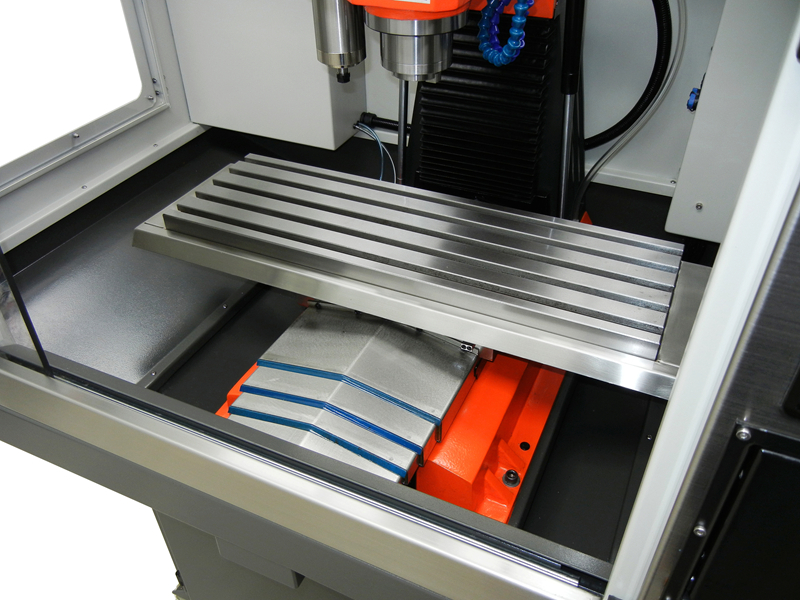 Linuxcnc&MESA system is professional and powerful under closed loop control to support SERVO, ATC, 4/5 axis and rigid tapping etc. 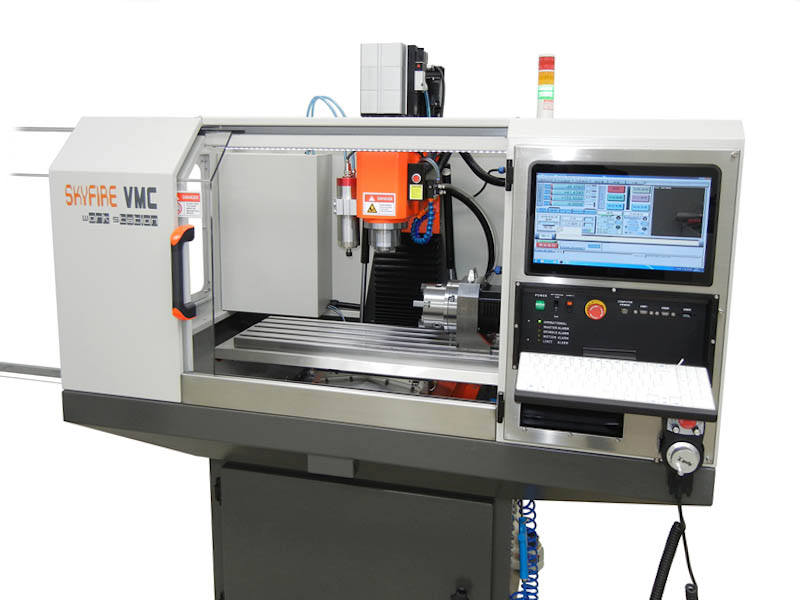 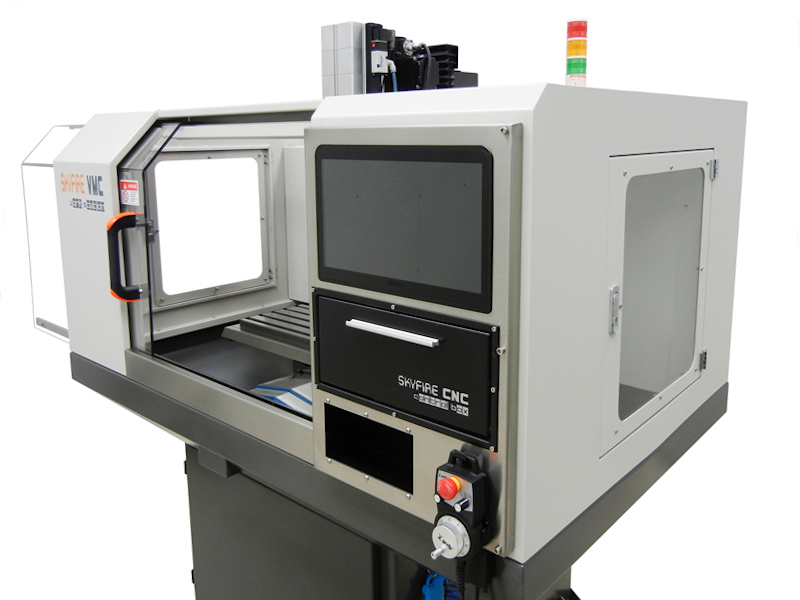 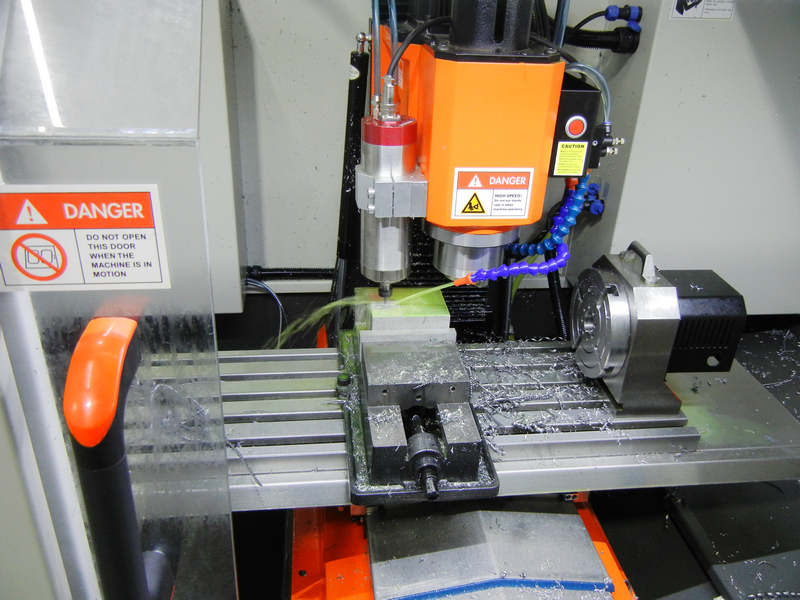 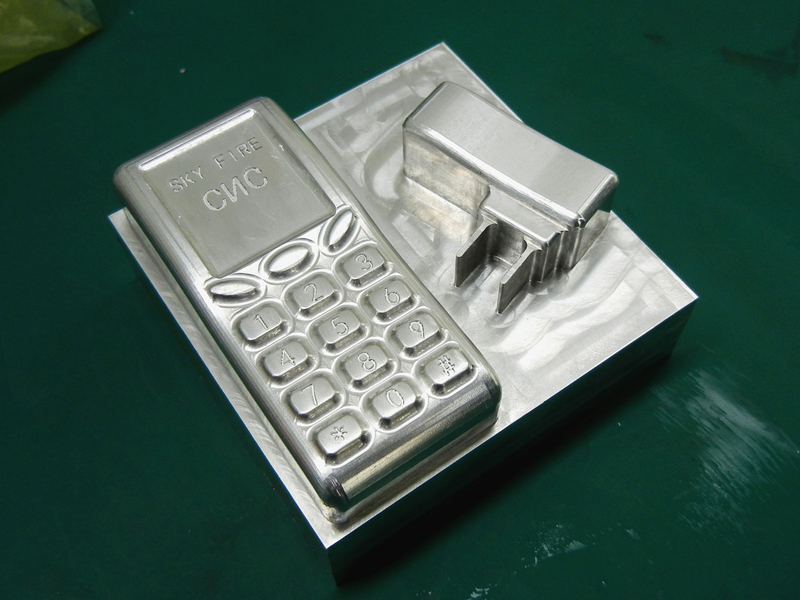 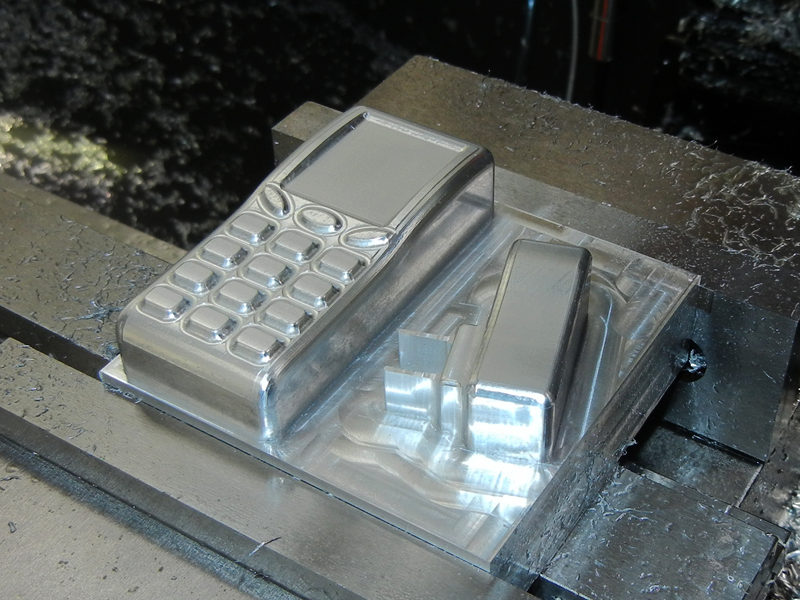 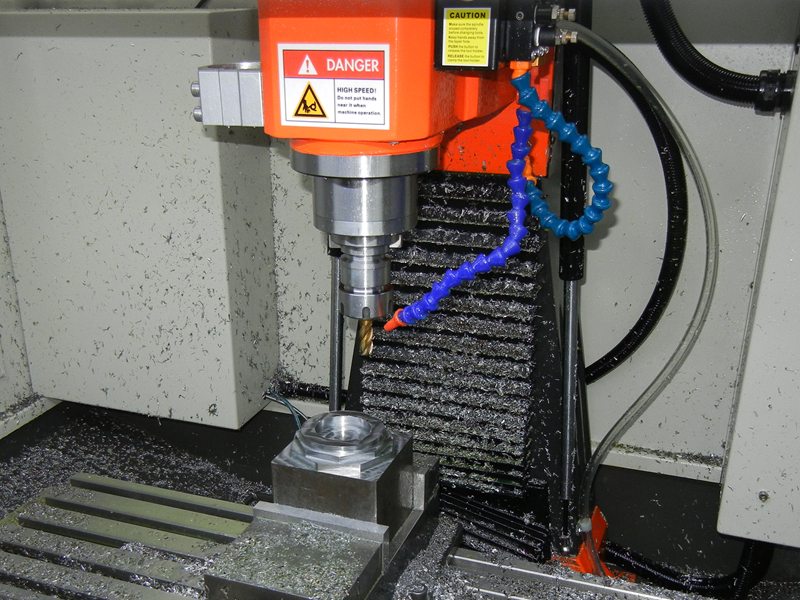 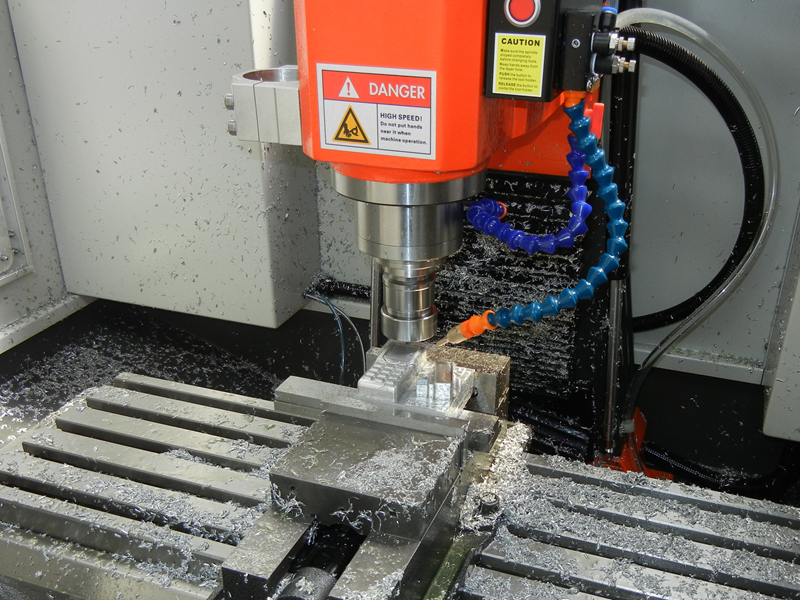 high class functions that can compete most industrial CNC controllers. 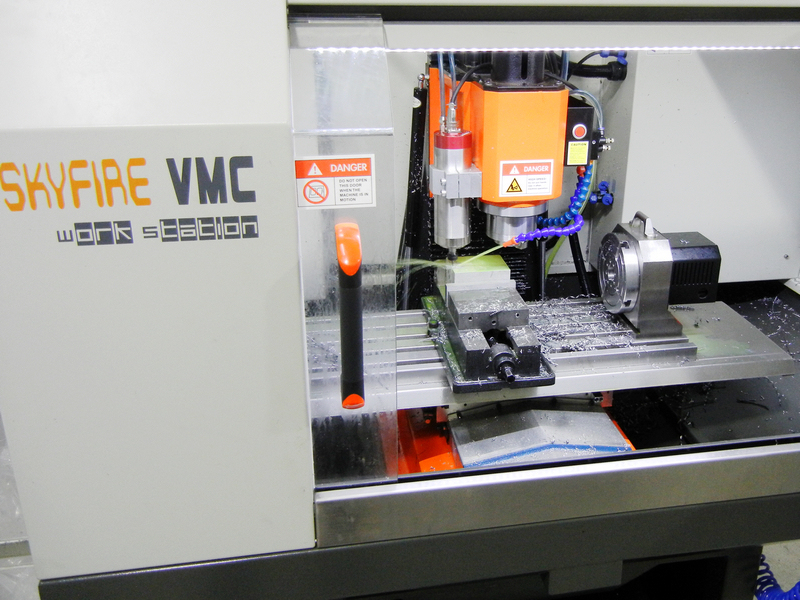 SVM-2VMC Workstation can handle all materials from Plastic, Aluminium, Brass, Steel, Stainless Steel to Taitanium etc. 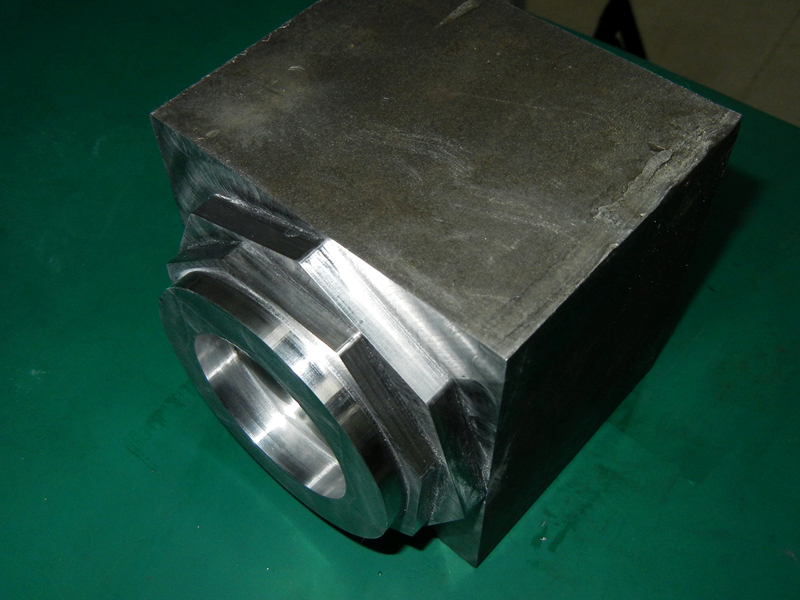 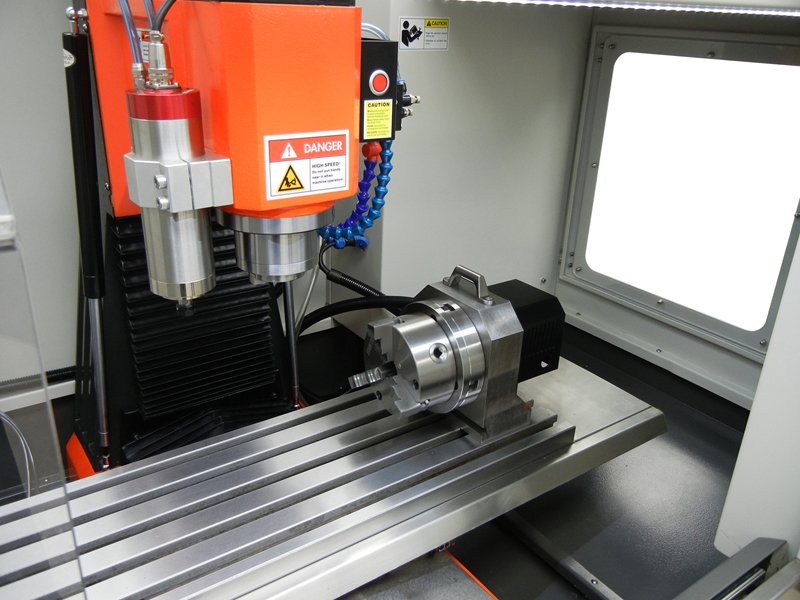 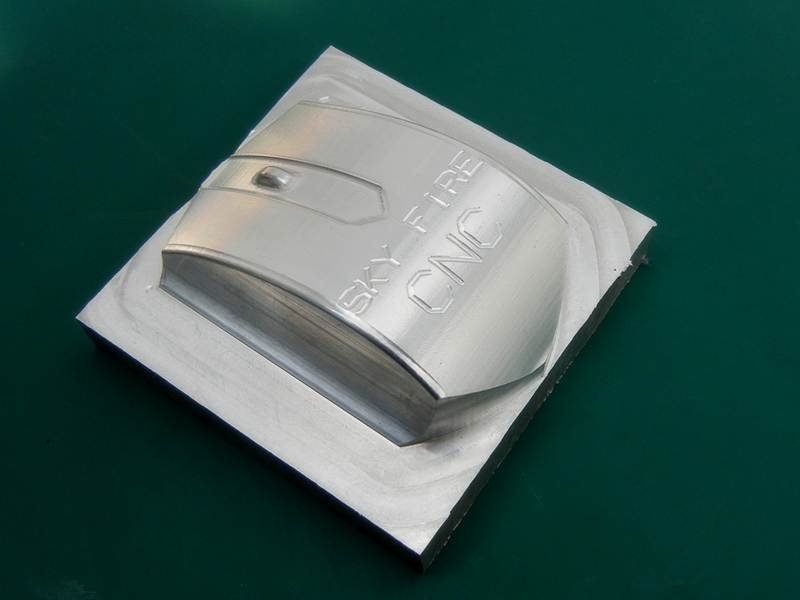 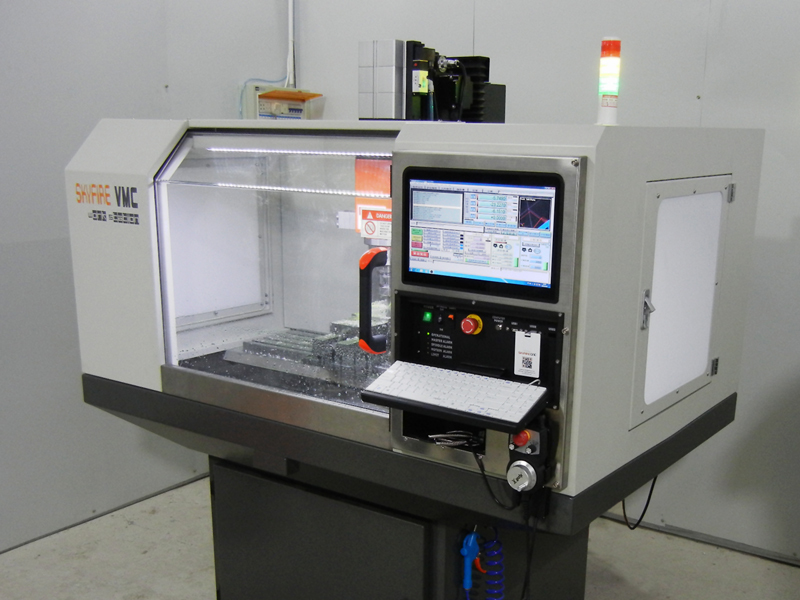 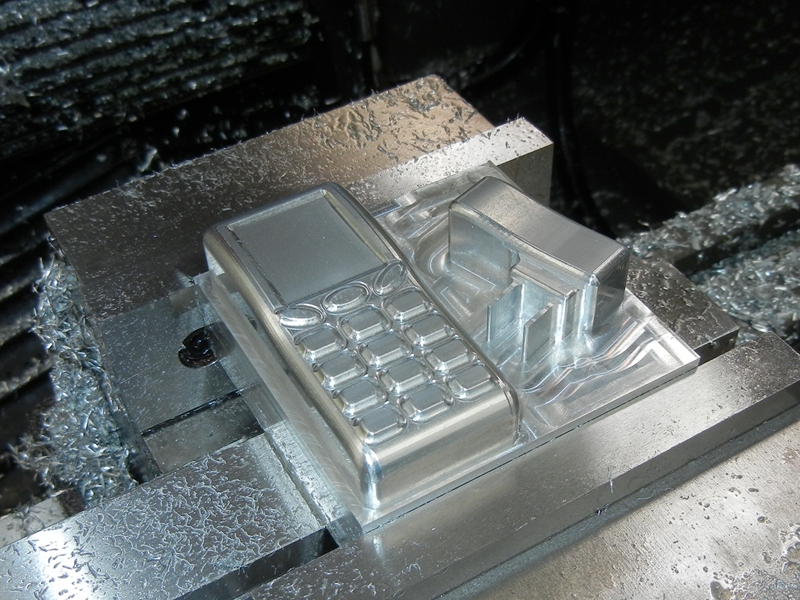 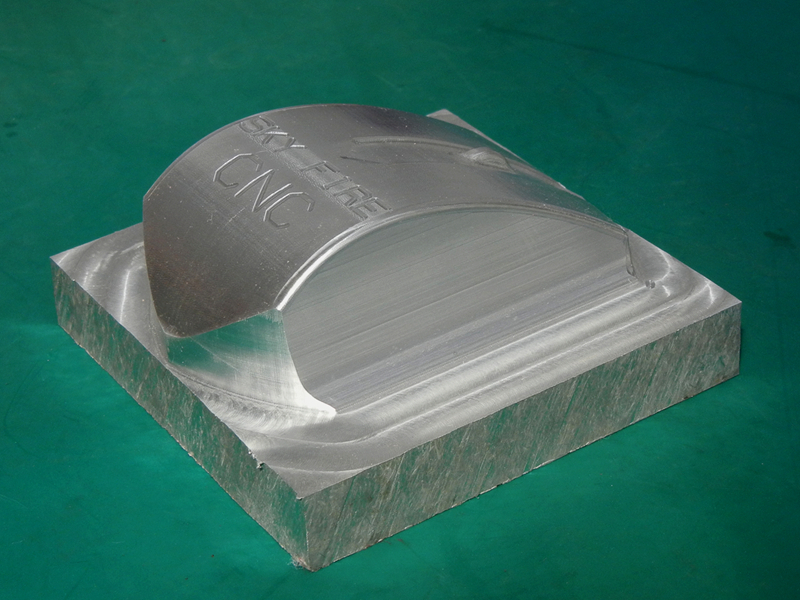 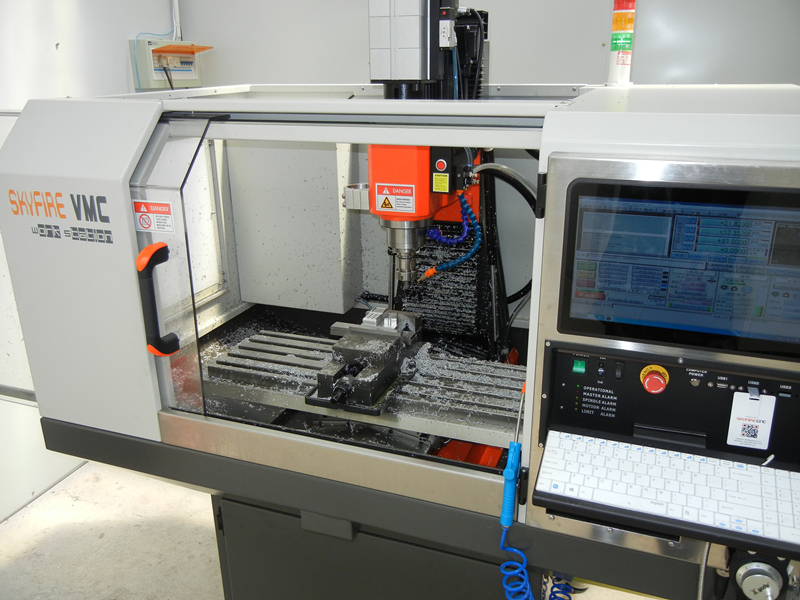 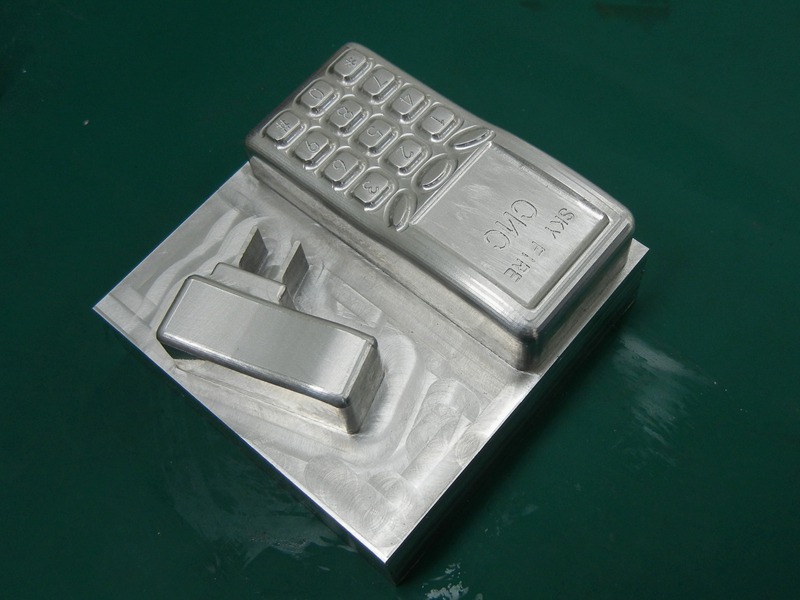 It's a real industrial level CNC machine to do precision machining works. 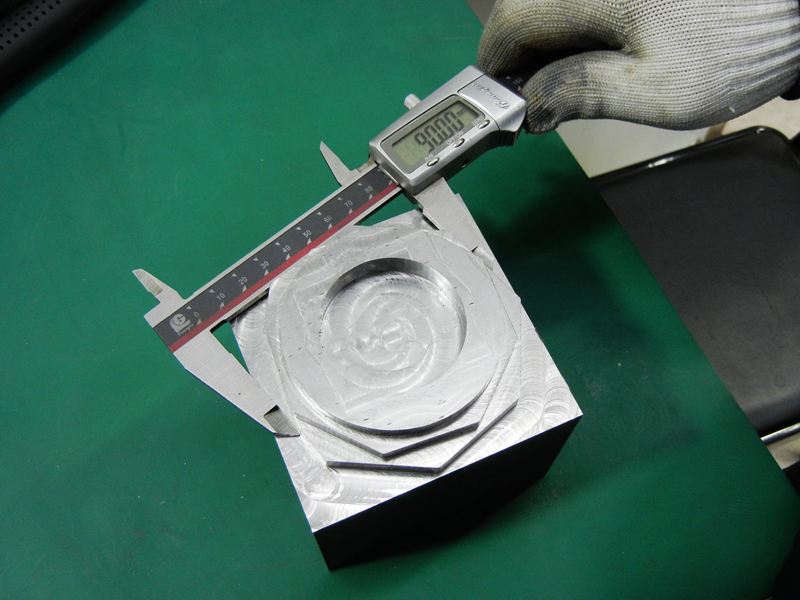 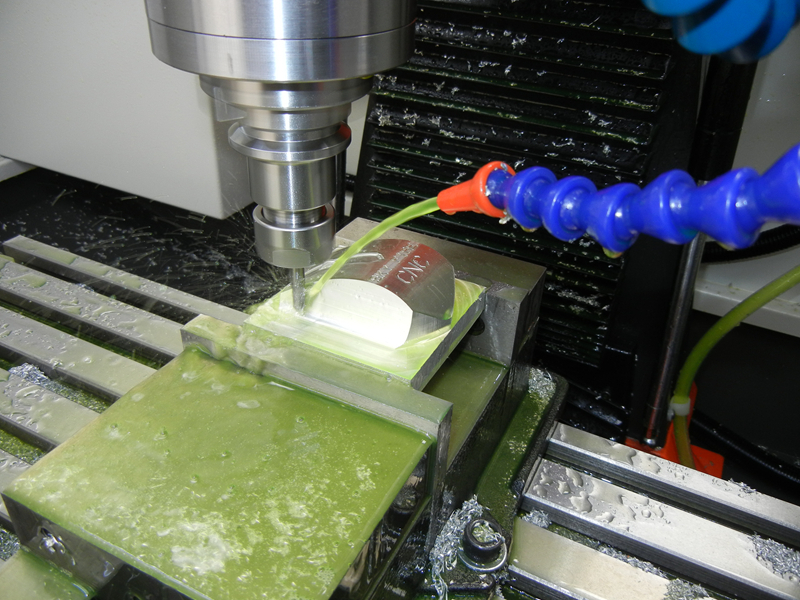 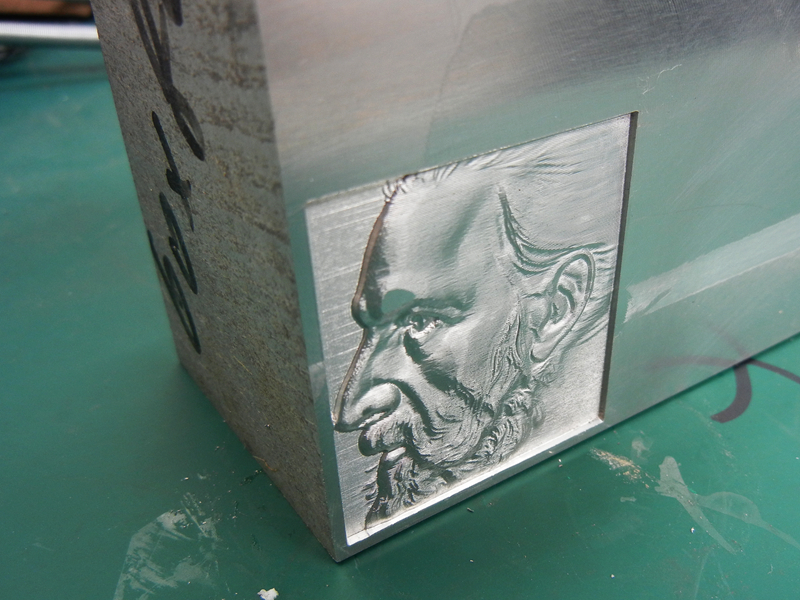 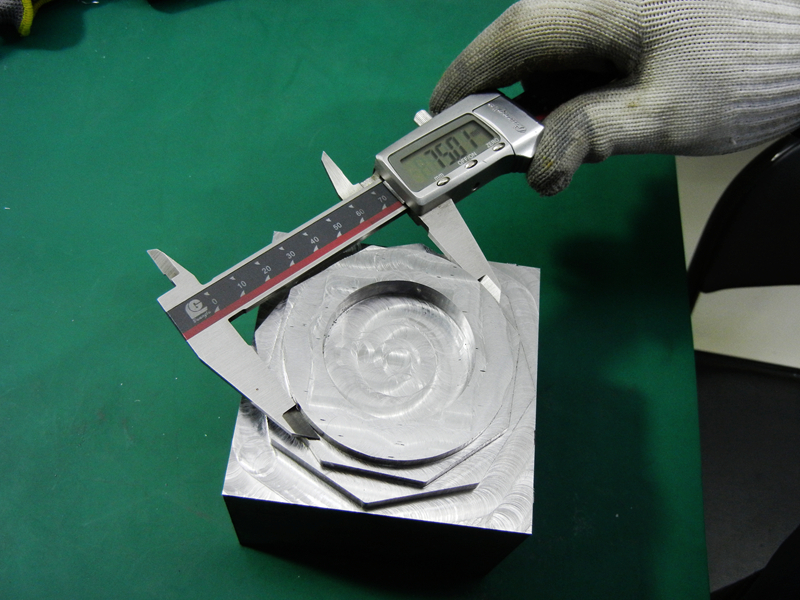 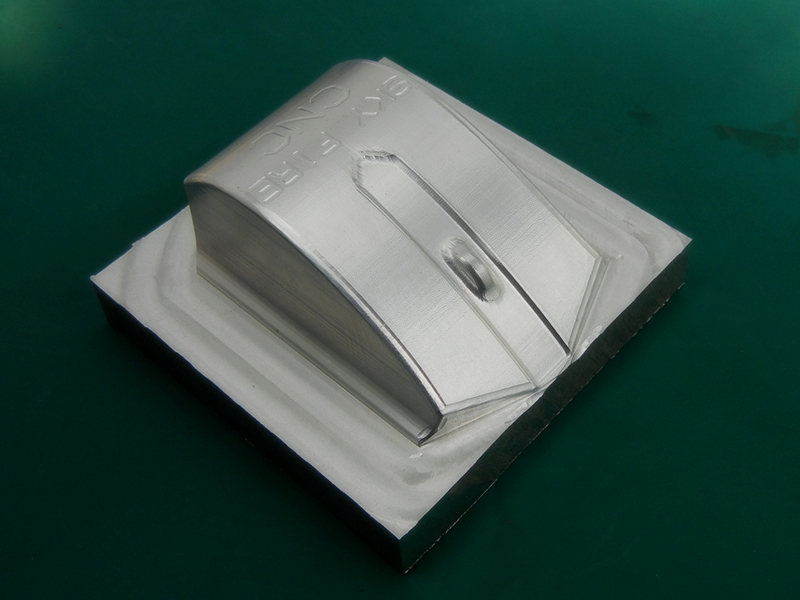 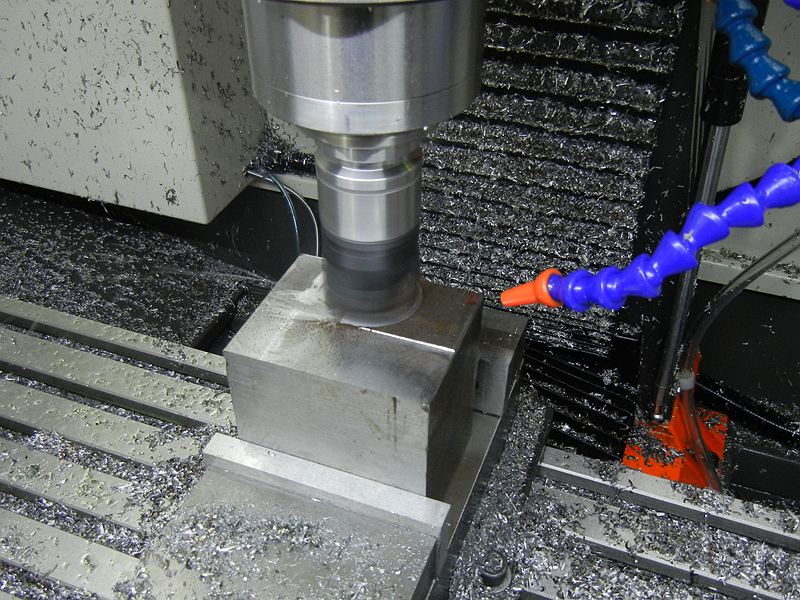 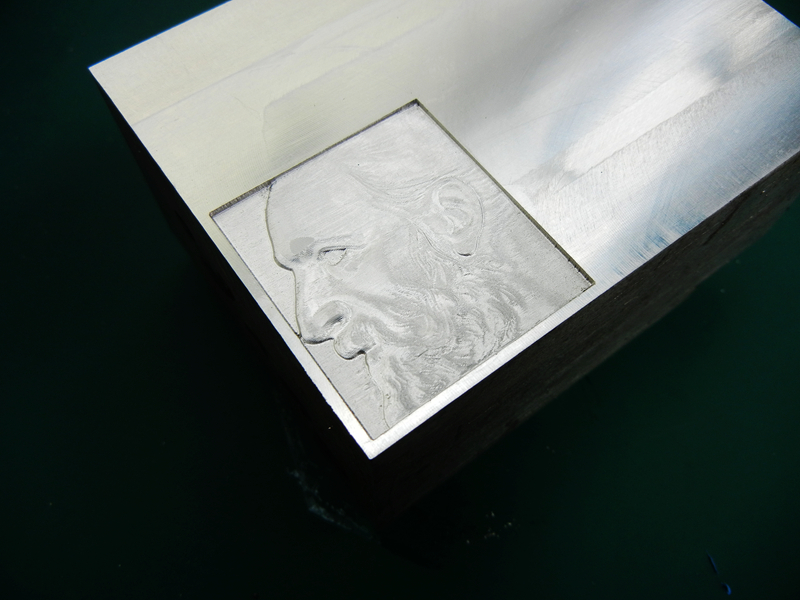 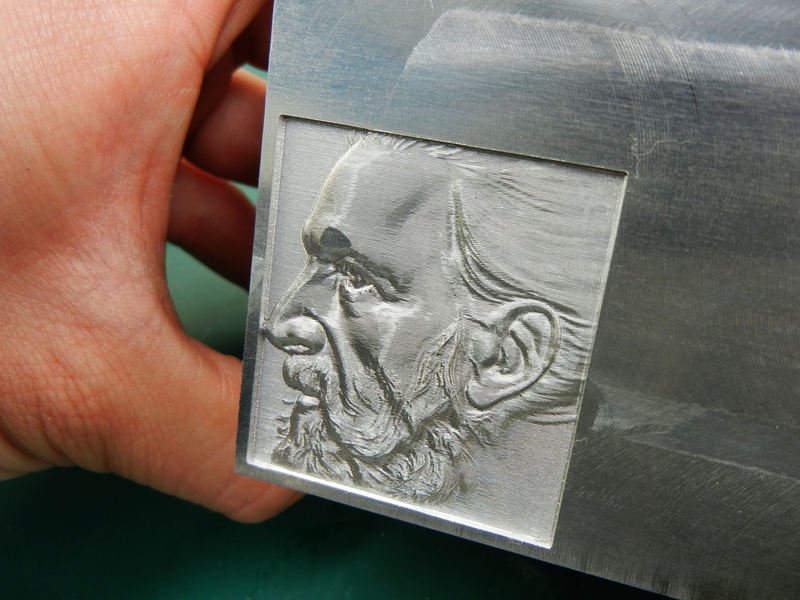 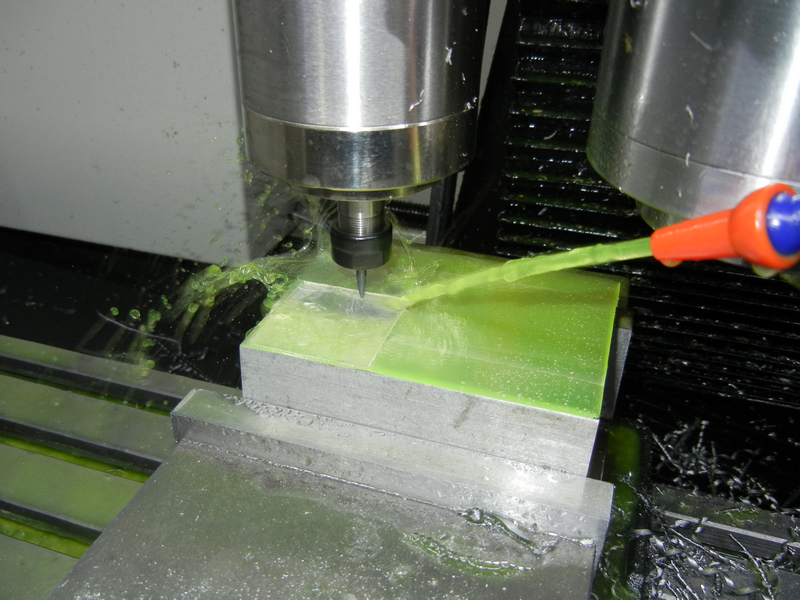 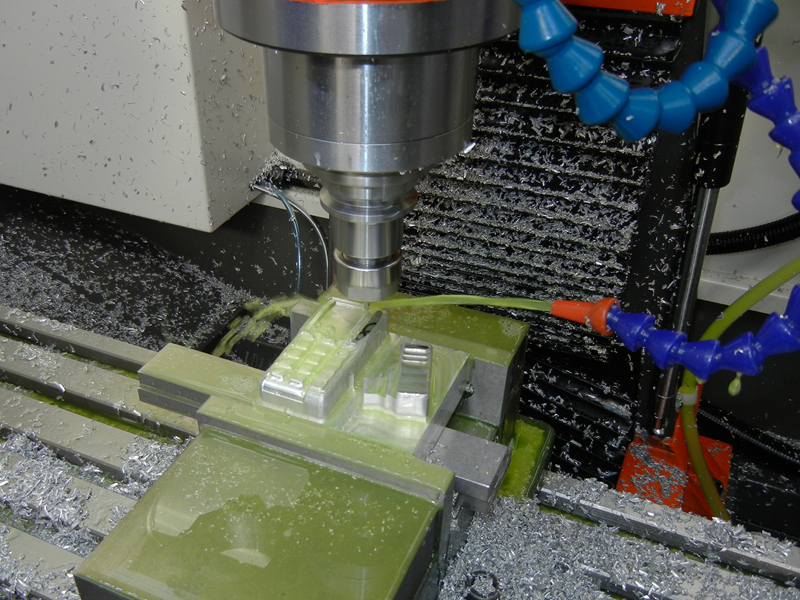 Typical machining tolerance is <0.02mm. 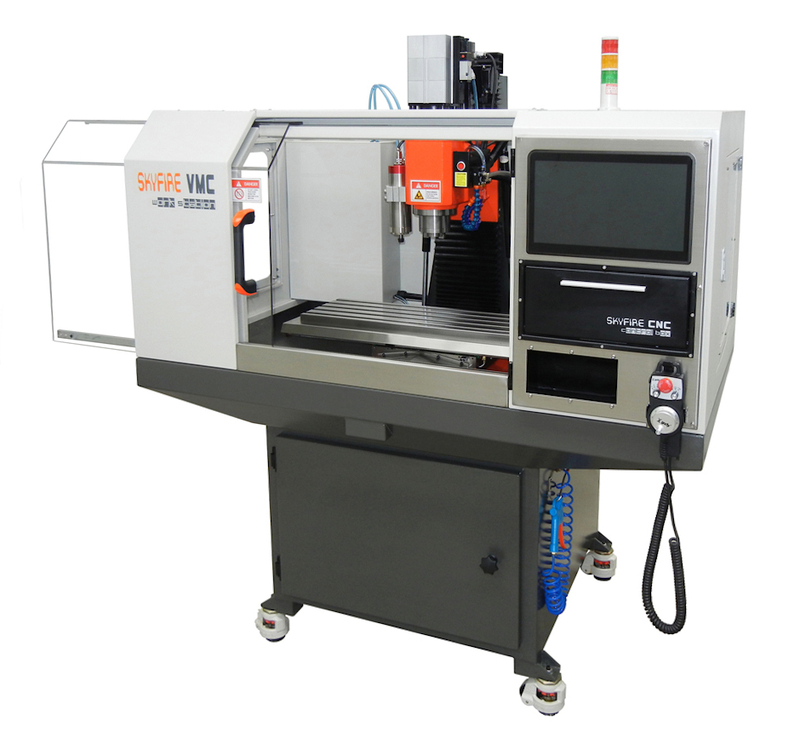 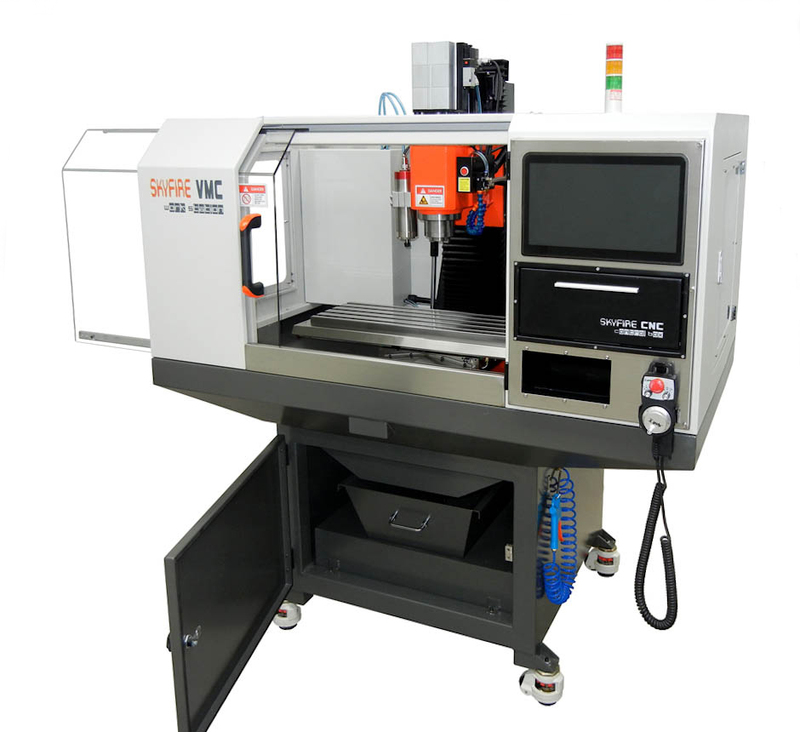 SVM-2VMC Workstation is excellent for personal machinists, metal workshops, R&D departments, educations and batch product factories.